Oswald’s head is on a spike. Can Oswiu avoid the same fate? The great pagan king Penda set a trap, and when the brothers Oswiu and Oswald walked in, only one came back alive. Rumours abound that the place where Oswald s body is strung up has become sacred ground a site of healing for those who seek it. Oswald’s mother believes he will protect those he loves, even beyond the grave. So she asks the impossible of Oswiu: to journey to the heart of Penda’s kingdom and rescue the body that was stolen from them. Will this fateful task allow Oswiu to prove himself worthy of uniting the kingdoms under him as the King of Kings, or will it set him on a path to destruction? 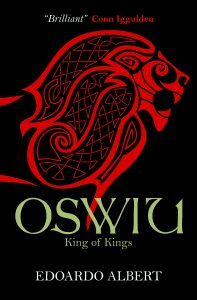 Oswiu: King of Kings is the masterful conclusion to The Northumbrian Thrones trilogy.